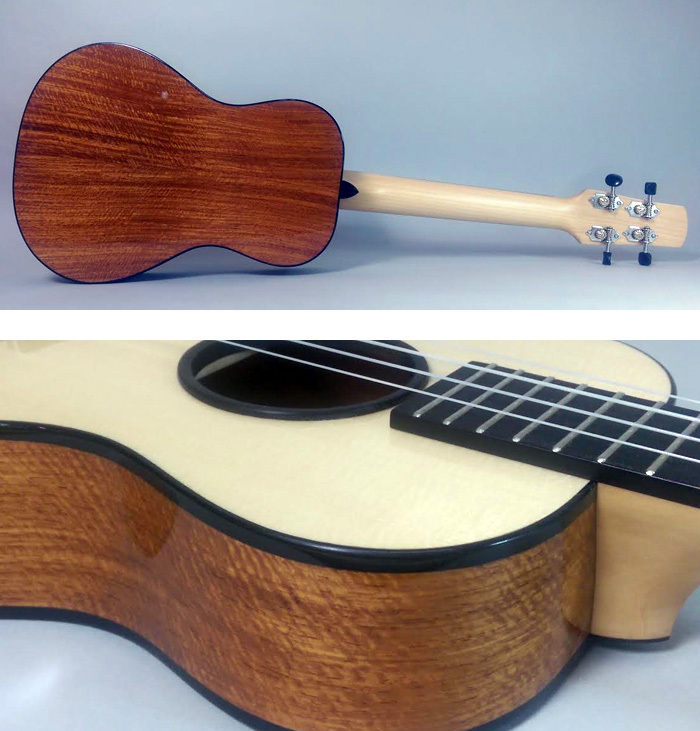 This tenor has a pseudo sandalwood back and sides capped with an Englemann spruce front. The rosette is a shallow tornavoz. The tornavoz is a turned ebony 'ring' that drops into the soundhole and was made for me by Tom Klenner, a former course student. The neck or Port Orford Cedar that has an ebony fingerboard and heel cap. It's fitted with Der Jung side tuners and a Corian nut and saddle. The bridge is ebony.